From Erika Swyler, author of The Book of Speculation—one of BuzzFeed’s Best Fiction Books of 2015-- a short story of a mermaid who ran away from the circus, and what happened when she started a life on land. Before she was a suburban wife and mother, Paulina Watson was the Mermaid Girl of Carnival Lareille. She traveled everywhere with two boxes: the first with red sequins for the dress she wore as a magician’s assistant, the second with green sequins for her mermaid tail. She'd grown up on wild stories told by wild circus people. Books, she hadn’t had books until she’d found Daniel Watson and stopped moving. The Mermaid Girl provides readers with an extremely intimate view of relationships. The relationship between a husband and wife. The relationship between a mother and her children. The relationship between a woman and her past. Paulina Watson can still remember the sparkle of the sequins that she was charged with sewing on to her costumes when she served as one of the star attractions of the Carnival Lareille. Red, for the dress she wore at the side of grandfatherly magician and carnival owner, Michel Lareille. Green, for the tail that she wore while swimming for hours in the tank of The Mermaid Girl. Only daring to break the water's glassy surface five times an hour to breathe. She had been part of a family there. The small and immediate one made up of her mother, a fortune teller, and her father, the carnival's big cat handler. A larger one, made up of the carnival itself. The performers, the sights, sounds, smells, the animals, travel, the tank, Michel, her costumes, and of course... her sequins. Now married, a mother, and settled in a home on the coast of Long Island Sound. Paulina is living a life far removed from the one of her past. A life made smaller by debilitating headaches that leave her unable to function. A life filled with the consistent love of her husband Daniel. A life made sweeter by the cute and quirk of her daughter Enola, and the vigilant care of her son Simon. A life spent close to the water that she loves. Close, but never truly a part of it. 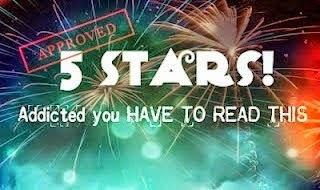 Awash in elements of contemporary fiction, combined with the whimsy of magical realism. 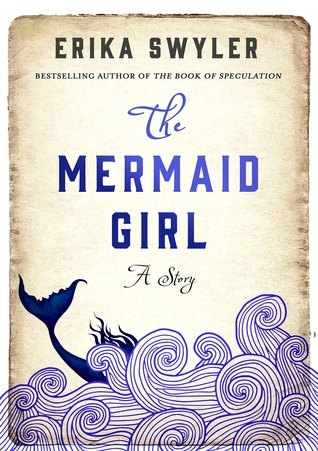 The Mermaid Girl is a short story taken from Erika Swylar's The Book of Speculation. Though this story is a scant 30+ pages. Its vivid imagery and lyrical prose sings a siren's song to the reader, which is impossible to resist. A tale of love, loss, memories, hopes, fears, dreams, realities, secrets, and sacrifice. The Mermaid Girl is a story crafted to fit the small quiet places in the heart and minds of all who dare venture into its pages. Erika Swyler, a graduate of New York University, is a writer and playwright whose work has appeared in literary journals and anthologies. Born and raised on Long Island's north shore, Erika learned to swim before she could walk, and happily spent all her money at traveling carnivals. She is also a baker and photographer and has a baking humor tumblr with a following of 60,000. Erika lives in Brooklyn, NY with her husband and a petulant rabbit. The Book of Speculation is her first novel.